In the days of old, everything was done on paper and often times in person. The very concept of being able to do something like buy a car without a piece of paper was absurd. As technology advanced a bit, phones became the preferred method of doing business, but they still lacked some of the features that could make them more convenient. Now with the boom of the internet, we can do just about anything without even having to use our voices. We can go online, fill out an application for a job, and show up for the interview a week later. This has changed the way just about every industry does business, including car loans. Car loans have changed significantly since the internet has become a part of our lives. While the criteria for being approved for a car loan is mostly the same, how you go about it has changed completely. Luckily, these changes are great for you. Here’s everything you need to know about car loans and how they’ve changed over the past few decades. Have your parents ever told you horror stories about going down to the library or cracking into an encyclopedia to tackle a book report for school? Maybe you’re even old enough to remember those days yourself. Before the internet, it was significantly more difficult to research things because research had to be done in person with no easy way to search through the book for keywords. Much like this sort of research has evolved, research about car loans has evolved too. You no longer have to go around talking to various banks, lenders and car dealerships to figure out who’s offering you the best loan; instead, you can simply go online, search car loans in your area, and compare your options. This has made it easier for buyers to find car loans that work for them. It’s also a good way for people who aren’t familiar with car loans to get an understanding of how car loans work. If you’re considering applying for a car loan in the near future, you should definitely do plenty of research beforehand. Sometimes simple research isn’t enough. When you can’t find an answer to your question on a lender’s website, the internet also acts as an easy way for you to contact that lender. All you have to do is look around their website a link that says “Contact” or “Contact Us.” This link is usually at the top and contains a list of ways (or a form) to contact the site owner. If you can’t find a contact page anywhere, there may be some contact information at the very top or bottom of the homepage. Financing a car through somebody is a big deal, so you want to be sure you’re lending from somebody you can trust. Having a conversation through email can be a great way to not only get your questions answered, but to gauge how customer-friendly the company you’re dealing with is. Another way to figure out about the quality of a loan service is to read reviews online. There are many sites where customers post reviews and file complaints against companies, so it shouldn’t be hard to find evidence of shady activity. 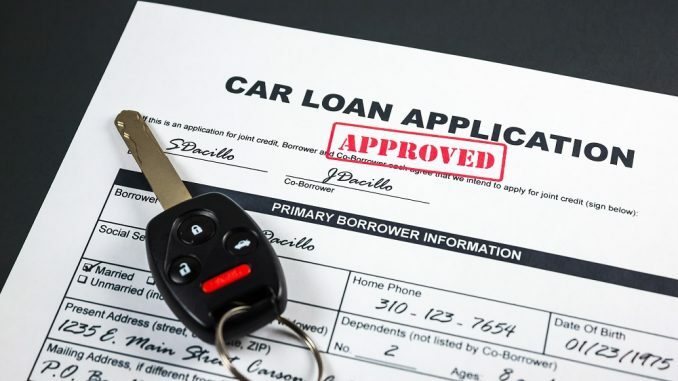 Perhaps the biggest change in the way car loans work is the online application process. Everything used to be done on paper—or over the phone, at the very least. Nowadays, you can simply go to a car loan website and enter your information to get a quote. Generally, you’ll be asked for basic information like your first and last name, your phone number, and your postal code, in addition to more detailed information such as your income and age. This is to help determine your APR and how big of a risk you are to lenders. You can even buy your car without having to move a muscle. Once you’ve got a loan secured, you can shop for a car online and even have it delivered to your home. It truly is a crazy world we live in. If you’re putting off applying to a car loan, take a few minutes to fill out a quick online application and see what your budget is.